LD Products Launches New Cartridges For Use In Xerox VersaLink B400 & B405! | Industry Analysts, Inc.
April 9, 2019 – LD Products, Channel Partner Division is excited to announce another premium quality OEM alternative for use in the Xerox Versalink Series – a solid addition to LD’s Gold Line Series. 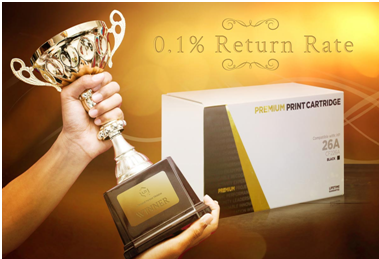 The LD GOLD Line series is only available to imaging reseller and managed print providers and boasts the industry’s lowest cartridge return rate of only 0.1%. This new quality benchmark includes the LD Gold Line color products which has caught the attention of many top dealers throughout the United States. This new release is now ready to ship! LD Products’ Channel Partner division offers the Gold Line of Non-Infringing New Build Compatible printer consumables exclusively to qualified dealers. The Gold line is engineered in the USA and assembled by contract manufacturing partners in China. Packaging is unbranded, and resellers own logos and contact info is applied at the point of sale by attaching a wraparound label detailing a picture of the cartridge inside, product info and delivery instructions. The Gold line features a lifetime warranty and includes hassle-free cost coverage for resellers that must respond to onsite printer repairs caused by a faulty consumable. LD stands behind its products and indemnifies its customers for infringement claims of U.S. Patents. This entry was posted in LD Products and tagged cartridges, LD Products, supplies, toner, Versalink B400, VersaLink B405, xerox by IA Staff. Bookmark the permalink. Innovate 2019 was a Huge Success for ecoprintQ!